Learn the benefits of the keto diet and related topics. 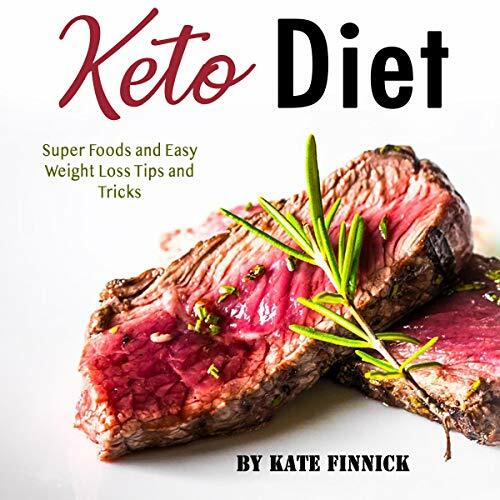 In this slightly different deviation from other mainstream guides about the ketogenic diet, you will feast on topics that pertain to wheat, milk, and other products, learn more about calorie counting, and much more. One chapter is completely devoted to working out during ketosis. Another helps you understand whether it’s a good choice for you (because be warned: There are some disadvantages when doing the ketogenic diet). Cancer prevention, nutrients, and all kinds of similar topics will be addressed. So get ready to educate yourself on this popular diet and the truth and studies behind its effects. To do this, add this audiobook to your cart. All of the healthy foods aren't always what you expect them to be. Cutting carbs from your diet can be a real challenge, but I am grateful for books like these that tell you how to do it. The keto diet is popular, and Kate has picked up all the best knowledge from around the world. Thanks! I honestly never heard of Kate Finnick, but this book made me think and I decided to get it. Well, it was worth it. Great narrator and nice to listen to. Definitely a shortcut to losing weight and becoming healthier. THey definitely mentioned some facts and tips in here that I didn't already know. I was pretty relaxed sitting back and listening to this book. Highly recommended.